Precise and accurate thermal conductivity measurements are important in geology for numerous reasons. Determining the effectiveness of geothermal heat transfer and dissipation through different rock layers and aquifers is of great importance for hydrogeology studies, geothermal industry, and the shale gas and oil sand industries. 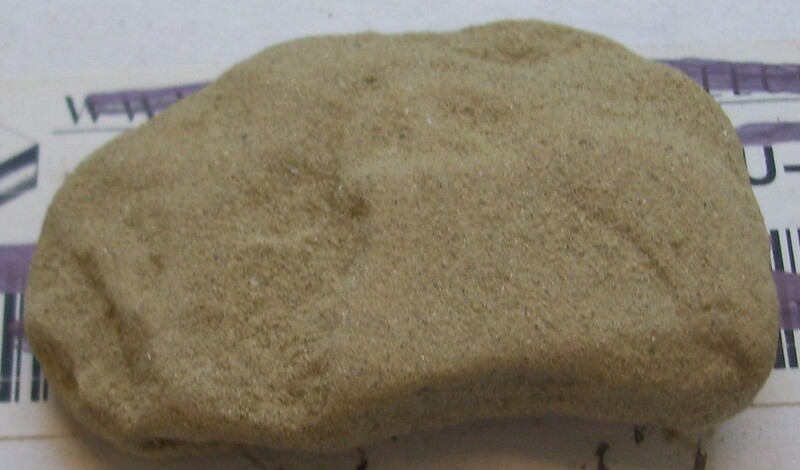 One of the main factors influencing heat transfer through various rocks is their porosity. 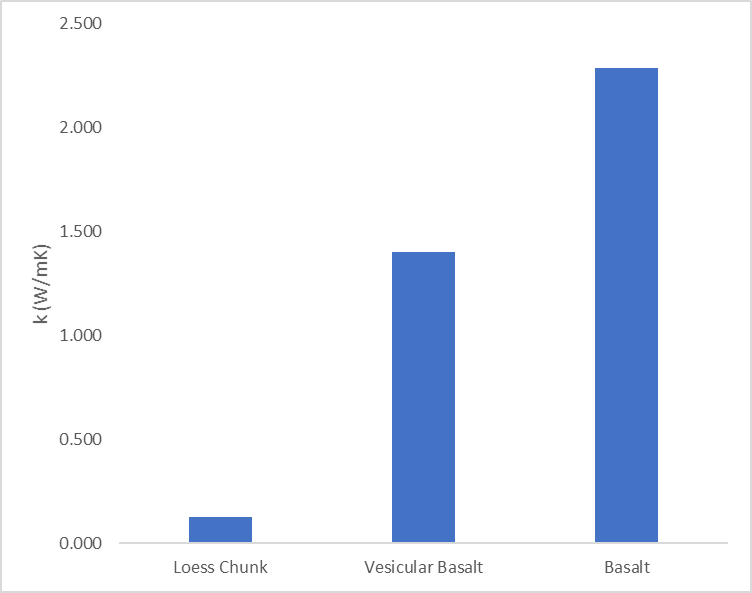 This study focused on the comparison between three rock samples: a very porous, foam-like glacial loess, a rock of medium porosity called vesicular basalt and a low porosity rock sample called basalt. See Figure 1. 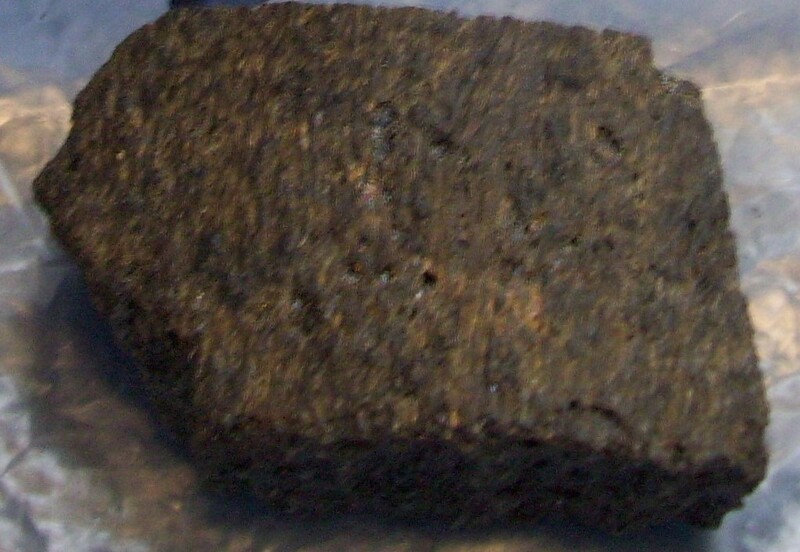 Geological samples of these types were tested using the C-Therm TCi Thermal Conductivity Analyzer and Figure 2 shows the results. 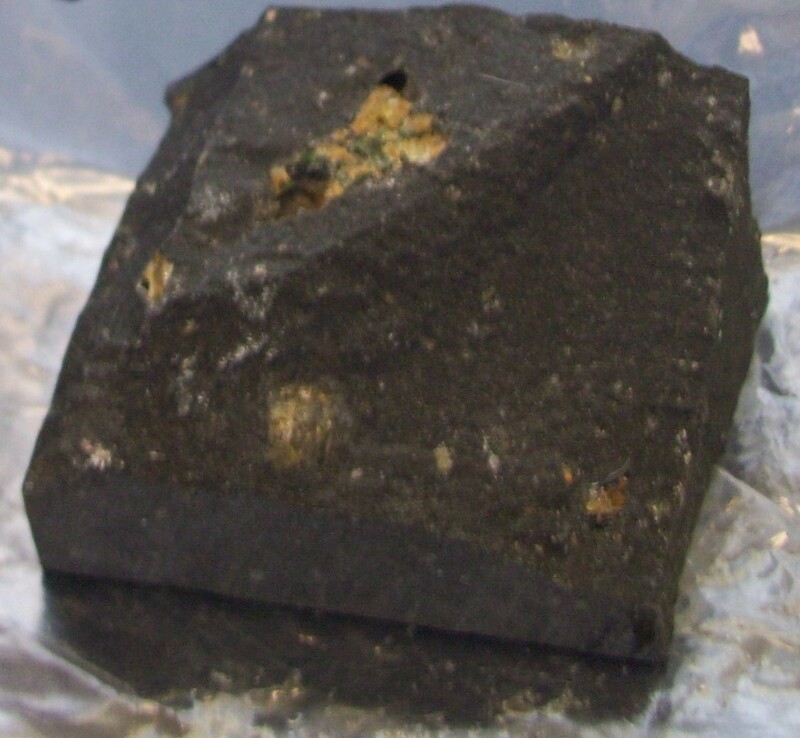 This demonstrates just how much the thermal conductivity is affected by the amount of porosity in the rock with the Loess (35% porosity) being just above 0.12 W/mK, while the vesicular basalt (3% porosity) being 1.4 W/mK and the regular basalt (nil porosity) being 2.3 W/mK. Aquifers do not need to be made of rock necessarily--they can be made of unconsolidated sand or gravel. In this case, the effect on thermal conductivity and overall heat transfer is heavily influenced by the particle size range. A way to simulate this is to measure the effective thermal conductivity of glass beads of a known size. 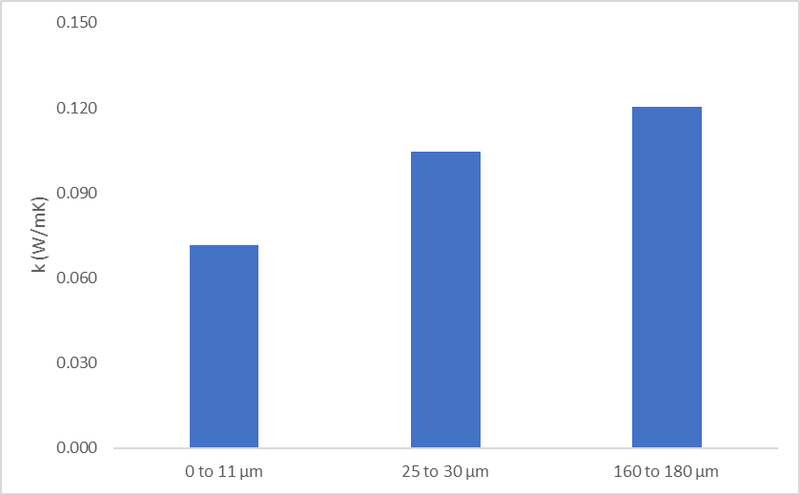 Figure 3 shows how thermal conductivity is affected by grain size with the 0 to 11 μm having a thermal conductivity of 0.075 W/mK; the 25 to 30 μm measured just over 0.10 W/mK and the 160 to 180 μm being around 0.12 W/mK. The test results clearly demonstrates both the impact of porosity on the thermal conductivity of geological samples and the effect of grain size in the case of unconsolidated geological material. This kind of data can be used to inform the design of geothermal and hydrogeological systems. Comment on "Thermal Conductivity of Geological Samples and Glass Beads"